Warntjes JB, Leinhard OD, West J, Lundberg P. Rapid magnetic resonance quantification on the brain: Optimization for clinical usage. Magn Reson Med. 2008;60:320-329. Hagiwara A, Warntjes M, Hori M, et al. SyMRI of the Brain: Rapid Quantification of Relaxation Rates and Proton Density, With Synthetic MRI, Automatic Brain Segmentation, and Myelin Measurement. Invest Radiol. 2017;52:647-657. Blystad I, Warntjes JB, Smedby O, et al. 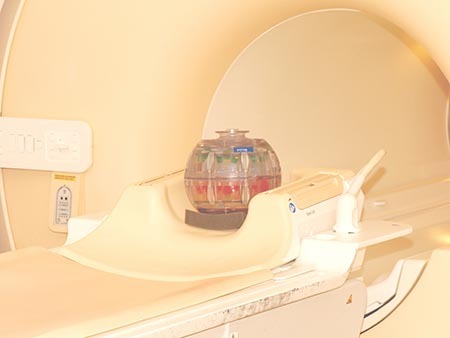 Synthetic MRI of the brain in a clinical setting. Acta Radiol. 2012;53:1158-1163. West J, Warntjes JB, Lundberg P. Novel whole brain segmentation and volume estimation using quantitative MRI. Eur Radiol. 2012;22:998-1007. Warntjes M, Engstrom M, Tisell A, Lundberg P. Modeling the Presence of Myelin and Edema in the Brain Based on Multi-Parametric Quantitative MRI. Front Neurol. 2016;7:16. Hagiwara A, Hori M, Cohen-Adad J, et al. Linearity, Bias, Intra-Scanner Repeatability, and Inter-Scanner Reproducibility of Quantitative Multi-Dynamic Multi-Echo Sequence for Rapid Simultaneous Relaxometry at 3T: A Validation Study with a Standardized Phantom and Healthy Controls. Invest Radiol. 2018 [in press].